Today was another overcast day and the clouds threatened rain long before we woke up. We didn’t let that bother us, though: We were really looking forward to today's Romantic Road excursion. 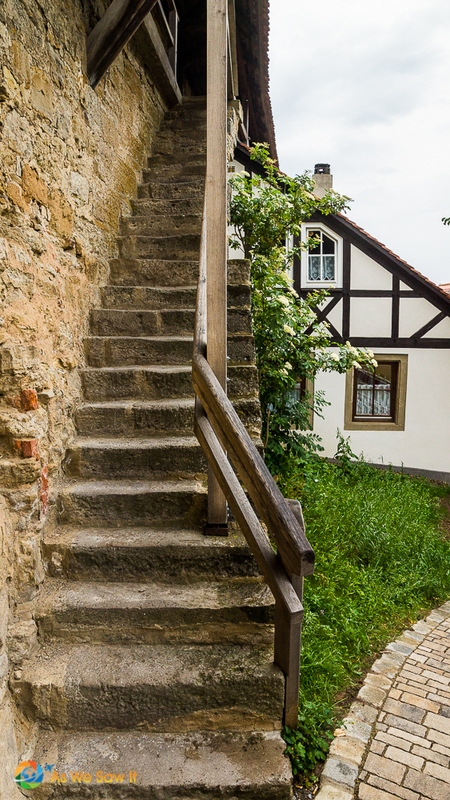 For €64 per person, Viking offered an optional tour that would take us through the heart of Franconia along the famous “Romantic Road” to the medieval city of Rothenburg ob der Tauber. 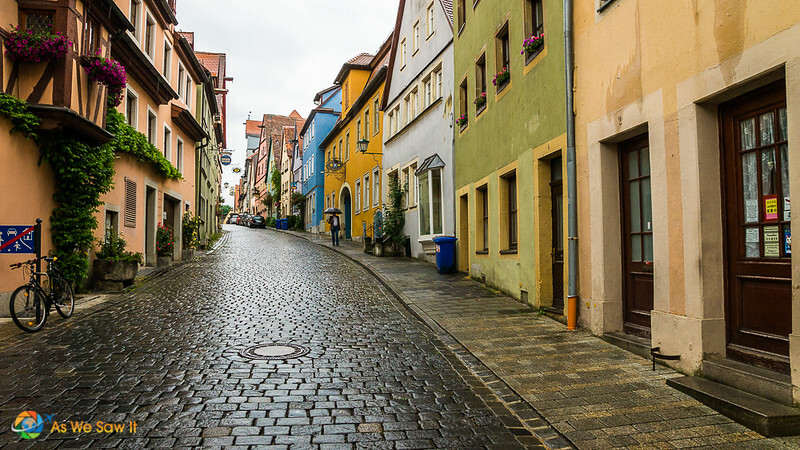 In Rothenburg we would enjoy a morning walking tour, free time for shopping (or photography) and an included “traditional German lunch.” After this, we would return to Wurzburg to tour its Residenz. Armed with umbrellas we all climbed on the bus at 8:30, eager to see what was in store. Dan confessed that, of all the sights in our 15-day trip this was probably the one that he most looked forward to. 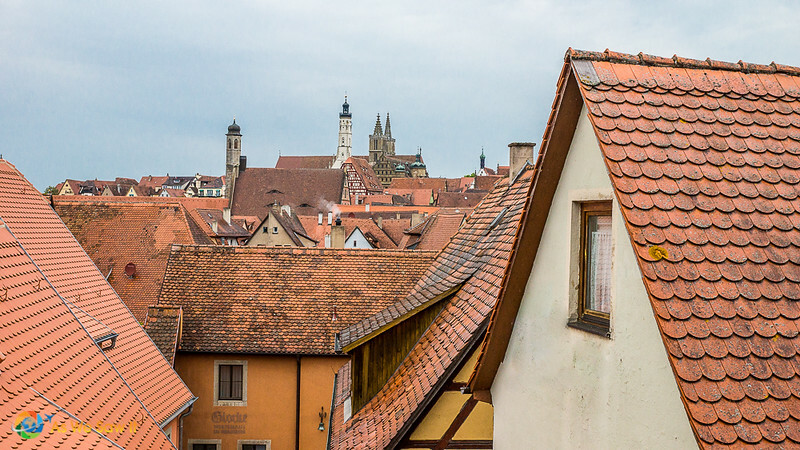 Rothenburg is a photographer’s dream. We had the bus ride to look forward to as well. After all, we’d be riding along the Romantic Road. What’s so romantic about a road? 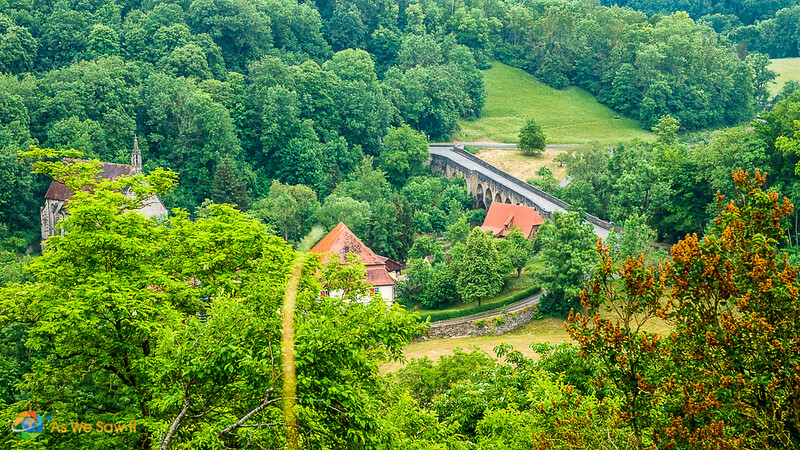 The Romantic Road may have begun as a medieval trade route, but these days most of its travelers are tourists seeking “quintessentially German” scenery and culture. 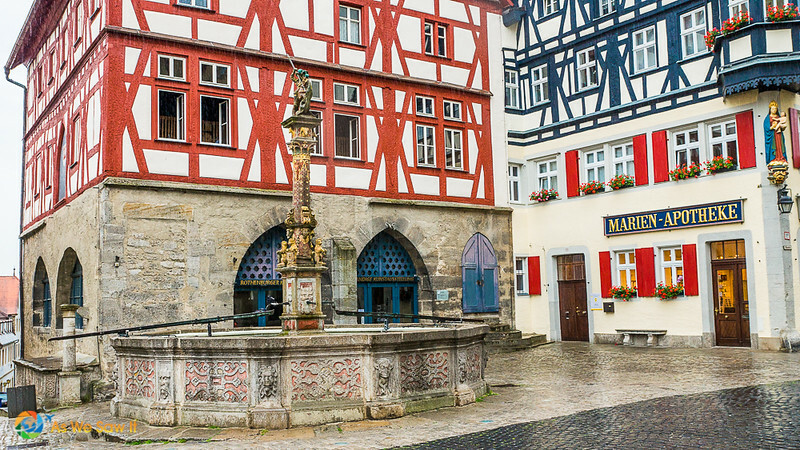 Think wrought-iron signs hanging out from quaint half-timbered houses, winding cobbled streets, and biergartens full of laughing Germans. The 350 kilometer route begins in Wurzburg and ends at Neuschwanstein Castle, near the Austrian border. Finally our bus climbed the long hill from the banks of the Tauber River and parked. Everyone piled out and followed our guide along the town wall and through a gate, where we began our tour of the old town. As you can see from this photo, the city is still encircled by towered walls. 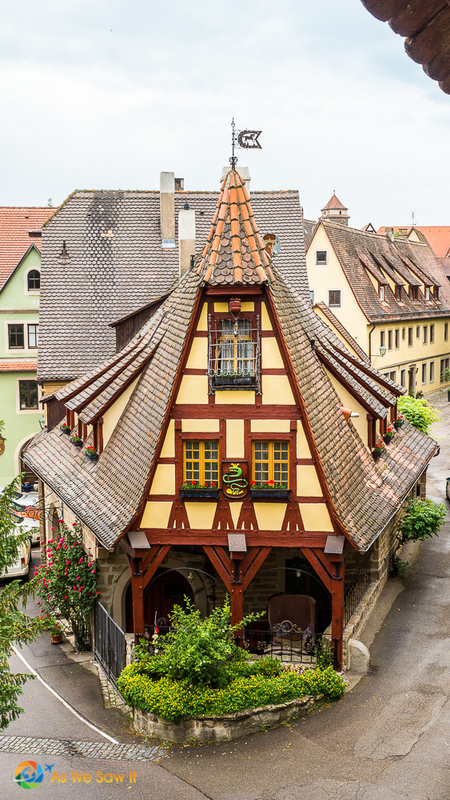 Actually, Rothenburg is considered one of Germany's best-preserved villages. 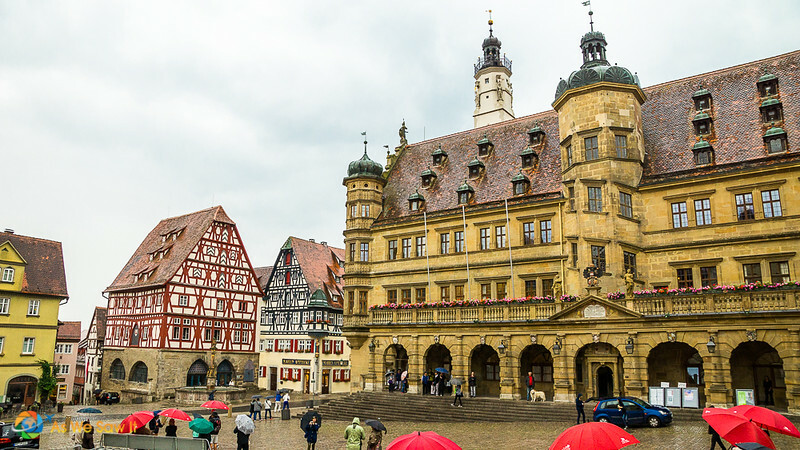 Rothenburg because it emerged from both the Thirty Years’ War and WW2 relatively unscathed, miraculously. God must have been watching over it. 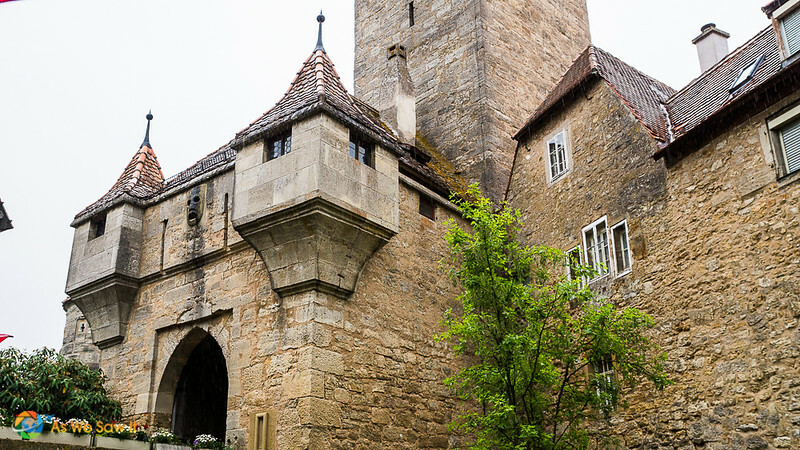 Rothenburg has its share of historic sites of course, but then most every old thing is historic if you think about it. Like most visitors Dan and I were far more interested in its ancient ambiance than in remembering names for all the sights. We were literally enchanted. This must be what Germany had looked like, once upon a time. And then there's the Schneeballs, which were in all the bakery windows. They are mainly made of flour, eggs, sugar, butter, cream, and plum schnapps. 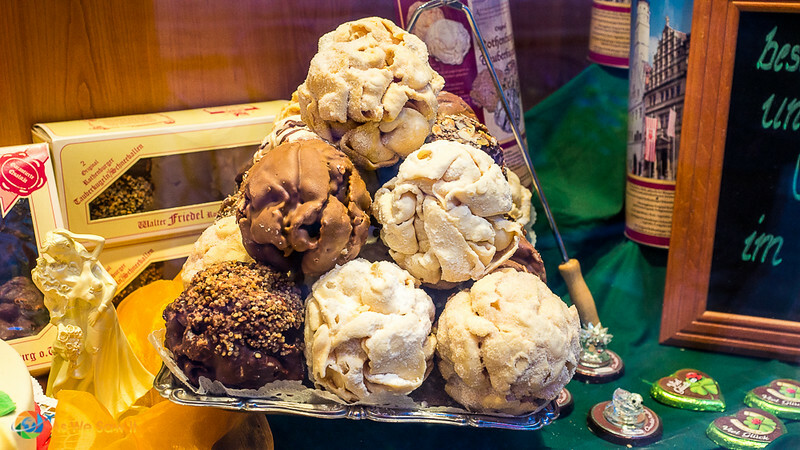 Schneeball is the German word for snowballs, and they sure look like it: strips of pastry rolled into a hand-sized ball and then frosted with various sugary glazes. 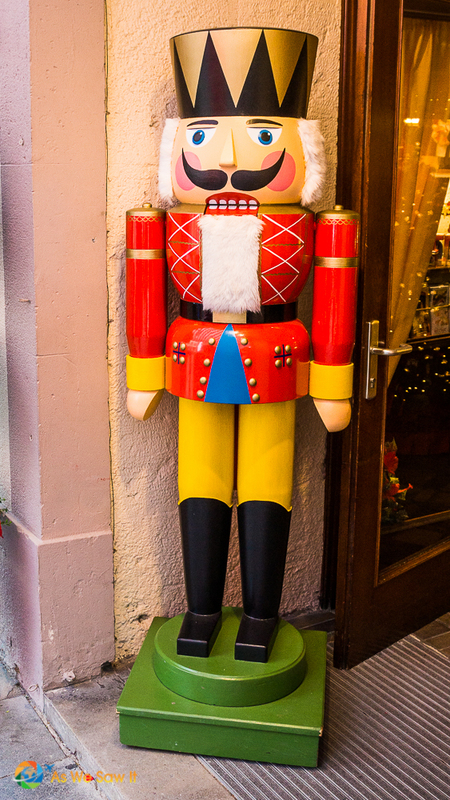 They are very popular around Rothenburg. It's a safe bet that you could take it home as a souvenir to share with friends … it lasts for two months without refrigeration! As you can see here, we got a unique perspective from atop the walls. As I suspected, our “traditional German lunch” consisted of sausages and potatoes. Germans like their pork, that’s for sure, so if you follow a special diet you should ask what a dish contains before ordering. We don't eat it (ew! ), so Viking had arranged for us to receive an alternate meal instead. We really appreciated that. 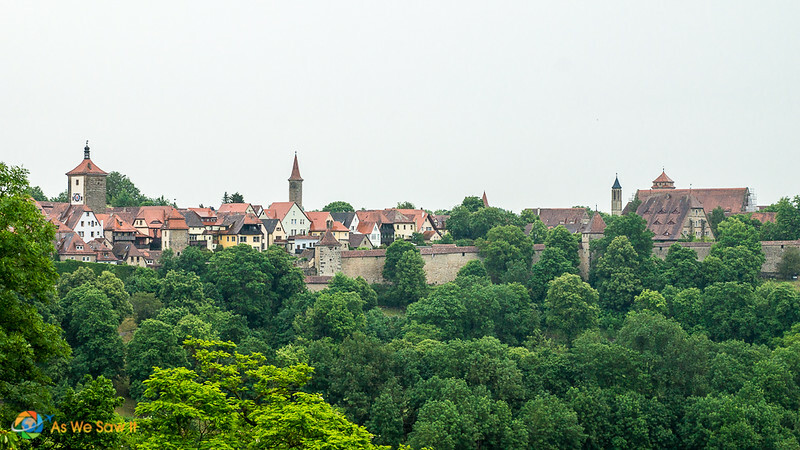 We enjoyed even more Romantic Road vistas on our way to our next destination, Würzburg am Main. 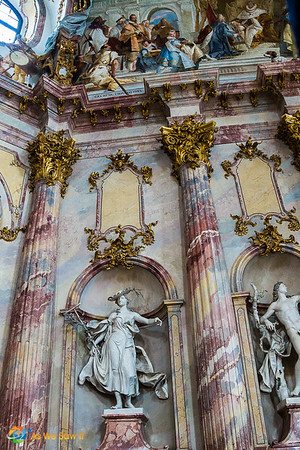 Despite the Allied fire bombs during WW2, the massive vaulted ceilings in the vestibule, staircase, and Imperial Hall – complete with their beautiful decorations – managed to survive. 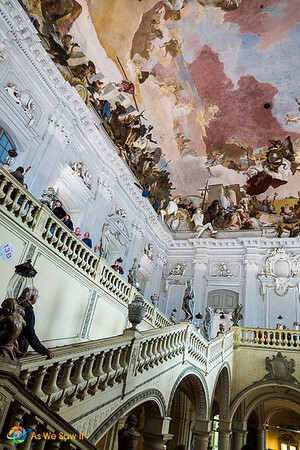 The rest of the Residenz was not so fortunate, however, and took over 40 years to restore. Our guided tour was of the inside only. 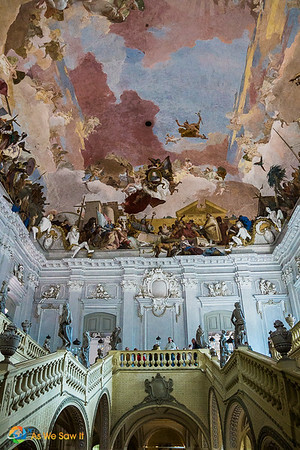 We were immediately impressed as we climbed the grand staircase and were greeted by a massive fresco depicting the four continents that were then known. Upon looking closer we noticed that it had 3-D features: legs sticking out from the fresco! 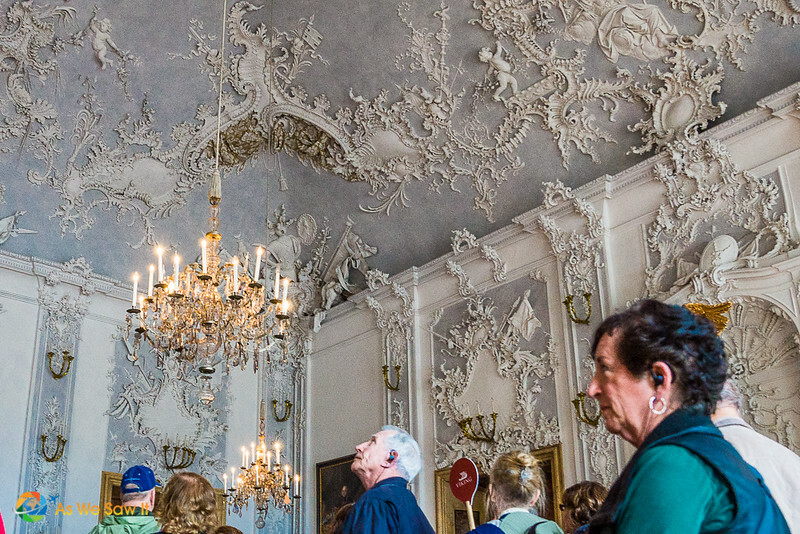 The White Hall is a breathtaking monochromatic gallery, mostly white and pale gray. Another room was full of faux finishes including marble-effect columns and draperies made of plaster. From there we walked into the Southern Imperial Apartments, which became more and more elaborate in decoration as we moved from room to room. 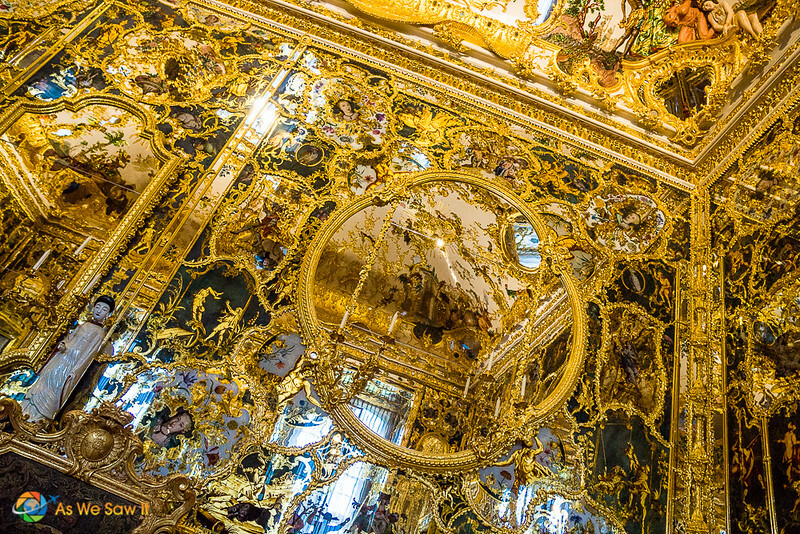 The ultimate room was an intricately-ornamented room called the Mirror Cabinet, whose walls were entirely covered in painted glass panels. All the paintings and drawings show oriental scenes. As you might expect, the Mirror Cabinet did not survive the War and took years to restore, but the final result is amazing. After our tour, we had free time before heading back to the ship. 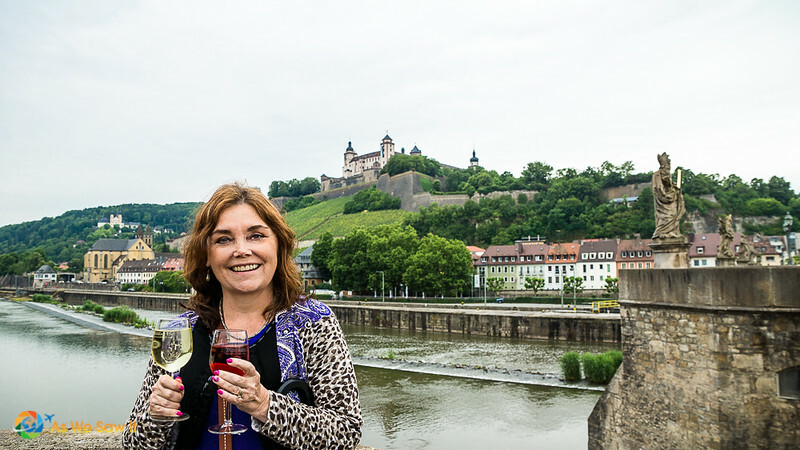 We spent some time looking around the town and finally ended up bridging – a local tradition of enjoying a glass of wine and a fabulous view atop a Tauber bridge. 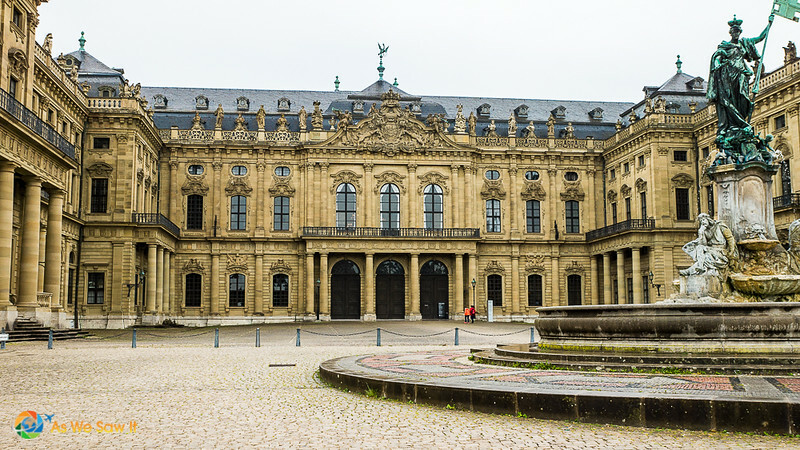 See our Wurzburg gallery for more photos from the town. To inspire us for tomorrow morning's visit to Wertheim, a city famous for its glass, tonight's entertainment was a fascinating glass blowing demonstration by a Wertheim resident named Hans Ittig, who comes from a family with 150 years of glass making experience. He had great stage presence and made us laugh a lot. It became even more fun when he invited our new English friend Fi (short for Fiona) to help him. Hover over the top left of any image to save it to your Pinterest gallery. There’s even more to see in our photo galleries, where you can enjoy free, full-screen slideshows. 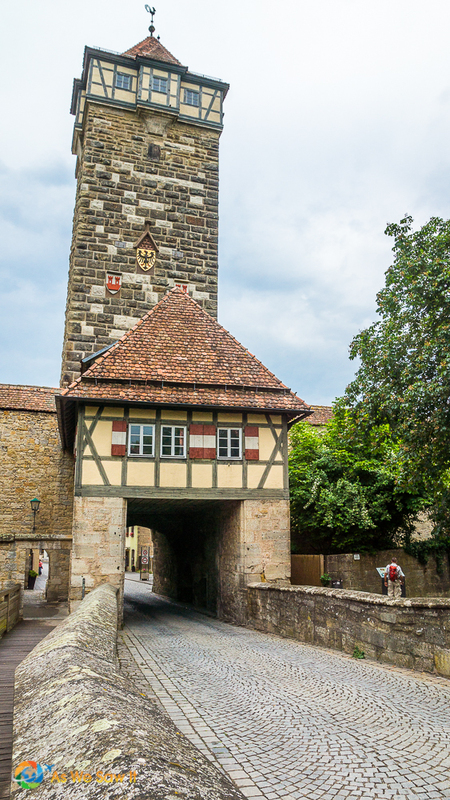 Click here to see more photos from our day in Rothenburg. 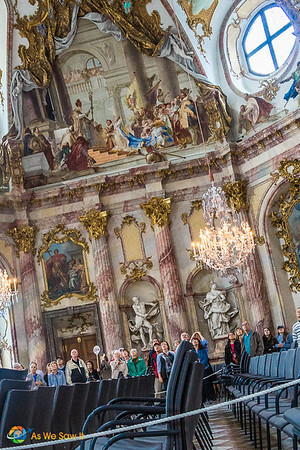 Click here to see more photos from our day in Wurzburg. You’re going to Germany in December? Lucky you. 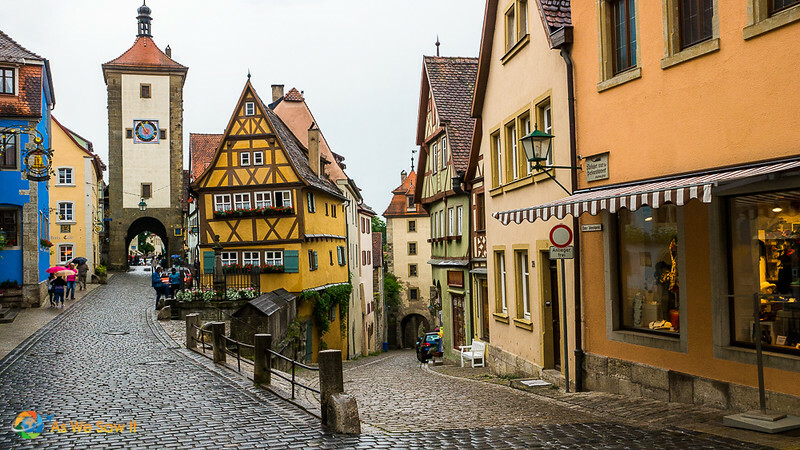 I really hope you guys have a chance to see Rothenburg while you’re there. 🙂 Just be aware that Germans really, REALLY love their pork. You had my attention right from the beginning when you mentioned ‘romantic road.’ I love that they have preserved the architecture. 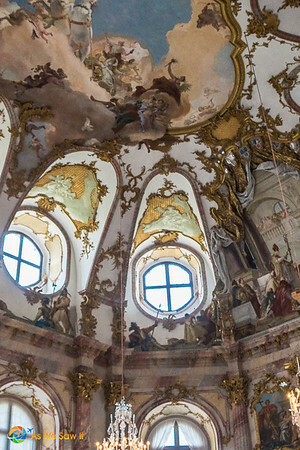 And inside the Würzburg Residenz is just mind-blowing beautiful. 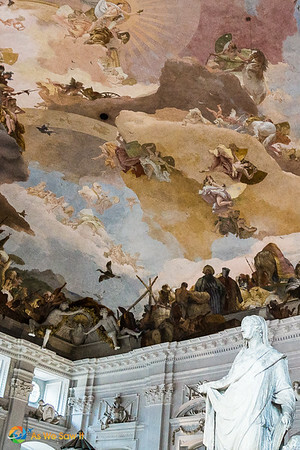 The ceiling and detail – I could look at it all day! Dan was so excited about photographing Rothenburg that I think he was a bit surprised at how photogenic the Würzburg Residenz is. You’re right about the detail. It’s hard to take it all in at once.